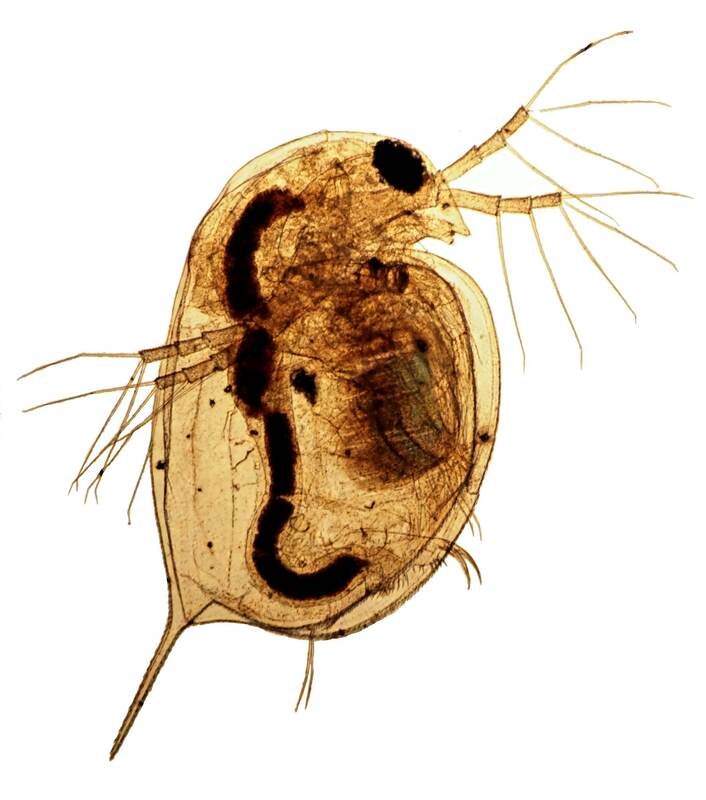 The invention of cheap digital cameras and powerful inexpensive computers capable of manipulating large digital images have changed what is possible in amateur microscopy enormously. You can aim a cheap point and click camera down the eyepiece, or you can use a good digital single lens reflex (DSLR) camera, that allows you to remove the camera lens and the microscope eyepiece, so that the only thing between the subject and the camera's image sensor is the objective lens. 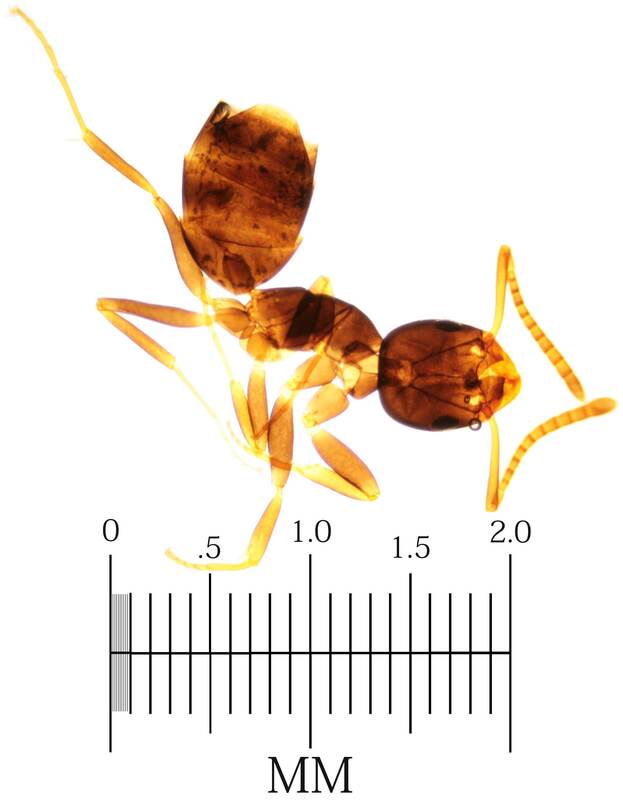 Now we can more easily see that she is a very small ant, not one of the larger types that annoy people at picnics. You may have used software to stitch together a panorama from several photos of a sunset or a seashore or some other landscape. We can use the same software to stitch together many images taken with the microscope of a subject as we move the slide. This allows us to get huge images at very high resolution with cheap cameras. We can combine these two techniques to get detail we could never get with photographic film. We can use the same software that online maps use to allow people to zoom in and out of the images and drag them around to see what is off the screen. This allows us to conveniently navigate around images that are much bigger than the computer screen we are using. We can even create stereo pairs from images of our subjects, so that you can see them in three dimensions.